Let your dog capture some of the action in your outdoor activities. The Spypoint Dog Mount allows you to mount an action camera on your dog's back. It adjusts to fit medium to large size dogs and secures on with quick-release buckles. 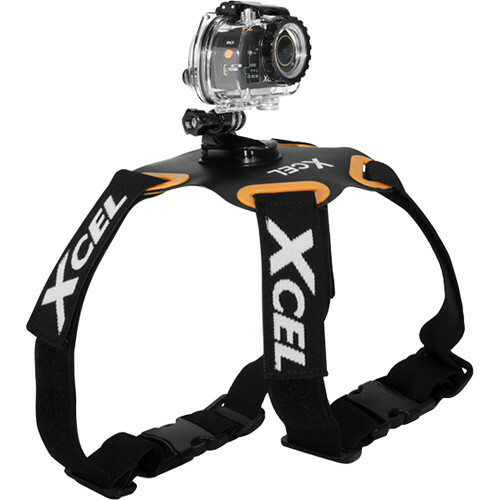 It offers a standard 3-prong mount that supports any XCEL or other action camera with a matching 2-prong adapter. Fits medium to large sized dogs with necks measuring 13-24" and chests measuring 22-29"
Will this work with GoPro 6? It sure will. The included 3 prong mount will work withe GoPro 6.